Renters Insurance: Who Needs it? As much as I’d like to stop writing right here and go back to whatever it is that I was justifying spending my time on, I understand that we might need to flesh that out a little in order to convince you, (the rental property resident or new investor trying to understand the rental business), that Renters Insurance is worth the costs and a general idea of what it covers. To be clear, I am NOT an insurance agent and I won’t, (can’t? ), get into the weeds with a lot of detail. Someday I will rope an agent in to write a guest blog, but for the purposes of this post, we will keep it high level and include some comments from our friend Dino LaMonica, Insurance Consultant, Broker from Bozzuto Insurance. 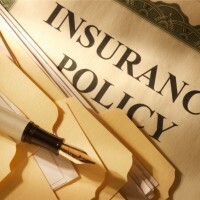 “Renter’s insurance protects the tenant’s personal property from losses caused by fire or theft. It also protects a tenant against liability (legal responsibility) for many claims or lawsuits filed by the landlord or others alleging that the tenant has negligently (carelessly) injured another person or damaged the person’s property. Renter’s insurance usually only protects the policyholder. It would not protect the roommate’s personal property; in order to be protected, the roommate must take out his or her own policy. Carelessly causing a fire that destroys the rental unit or another tenant’s property is an example of negligence for which you could be held legally responsible. You could be required to pay for the losses that the landlord or other tenant suffers. Renter’s insurance would pay the other party on your behalf for some or all of these losses. For that reason, it’s often a good idea to purchase renter’s insurance. Renter’s insurance may not be available in every area. If renter’s insurance is available, and if you choose to purchase it, be certain that it provides the protection you want and is fairly priced. You should check with more than one insurance company, since the price and type of coverage may differ widely among insurance companies. The price also will be affected by how much insurance protection you decide to purchase. The property owner’s liability insurance is not going to protect you against lawsuits where others, (the landlord, other tenants, private citizens), accuse you of causing damage to them or their property. So, if there is a fire at the property that damages or destroys the resident’s belongings, the owner’s property policy will only cover the repairs of the physical structure, not the replacement of the resident’s belongings. There is the possibility that the owner’s liability policy might apply here, but what if the fire was not, (or not clearly), the property owner’s fault? The resident is now in the position of engaging in a lawsuit with all its associated expenses and no assurance that they will prevail. What if the fire is the resident’s fault and it damages or destroys the landlord’s property and the property of other residents? Or what if the resident’s dog damages the property or worse, bites someone, (pet coverage is not included in all renters’ policies, which is a great reason to find a professional, knowledgeable insurance agent to make sure the resident has enough of the right kind of coverage). In the worst case, the resident could be held liable for the cost of replacement, repairs of an entire physical plant and all its contents, or the medical bills resulting from causing physical harm to someone else. Short answer: Everyone who rents needs renter’s insurance. There, done. I always recommend contacting your auto insurance agent/company to quote your renters insurance because most insurance companies will offer what’s called a “multi-policy discount”. Which means your auto insurance will go down and your new renters policy will be less than if you were to purchase renters insurance from a separate insurance company. Also, most tenants don’t even know that by purchasing a renters policy, their belongings/personal property is not only covered in their unit, it’s also covered away from their residence as well. A deductible does apply and I recommend going with a $250 deductible, because usually the difference from $250 to $500 deductible is a minimal savings and not worth being out of pocket the additional money in the event a covered claim were to occur.